Marcel Marongiu was born in Paris on 9 February 1962. He studied economics and fashion design in Stockholm Sweden. 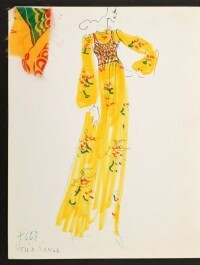 He was fashion illustrator for newspapers and magazines between 1980 and 1982. From 1982 to 1988 he was an assistant to France Andrevie in Paris. 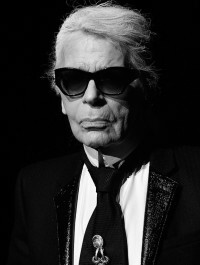 In 1988 he made his first signature collection and showed his first catwalk show during the Parisian fashion week in 1989. In the short time since the company's inception in 1991, the clothes are now sold in many boutiques throughout Sweden, Great Britain, Italy, France, Japan, and the United States. He adores hard rock music and in 1991 even named his company after the title of an Aerosmith album, Permanent Vacation. In October 1999 he showed collection at Cour Carré du Louvre. In 1998 he opened a boutique in Paris. The year 1999 saw Marongiu at his best. He branched out into understated asymmetrical Artoria porcelainware for Limoges, plus cushions and lingerie, and snagged Elle Sweden's Designer of the Year award. In Paris, he celebrated the first decade of his Composites brand. He insisted on New York City for unveiling his 10th fashion collection. According to the Boston Herald, he expressed confidence in the switch from European venues.